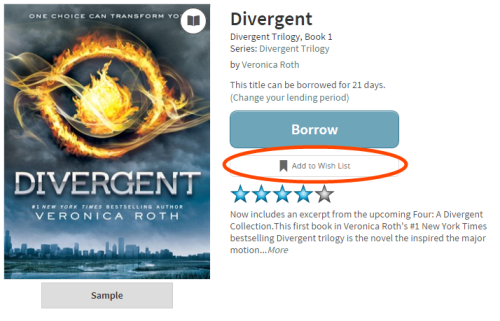 You can use the wish list in your library's digital collection to save titles that you might be interested in borrowing later, including titles that have not yet been released. 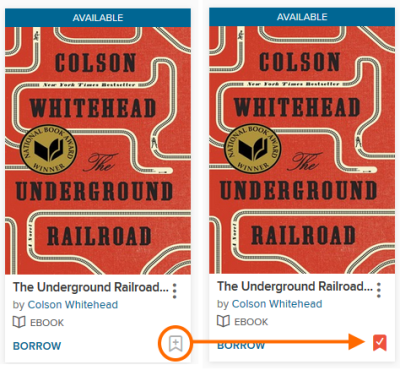 You can add a title to your wish list by selecting its ribbon icon (located beneath the title on the home page or in search results, or next to the title on its details page). Titles you add to your wish list will remain there until you manually remove them. 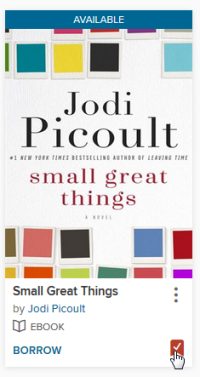 In your library's digital collection, click or tap , then select Wish list. The easiest way to remove titles from your wish list is on your Wish list page (under ). From there, click or tap the Remove button under the title you want to remove, then select Remove title in the confirmation pop-up. 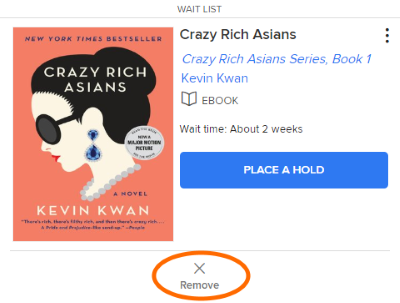 You can also remove a title from your wish list by selecting Remove from wish list on the title's details page or by deselecting the ribbon icon beneath the title's jacket. Mouse over (or tap, on a mobile device) a title, then select the ribbon icon in the bottom-left corner. Or, you can add a title to your wish list from the title's details page by selecting Add to Wish List. Note: If you aren't currently signed in, you'll be prompted to do so before you can add a title to your wish list. Your wish list is located under Lists on your Account page. 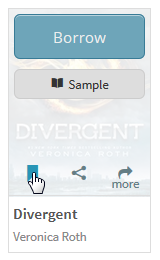 Select the Account icon at the top of your library's digital collection. Sign in if prompted. Select Wish List to view your wish list. 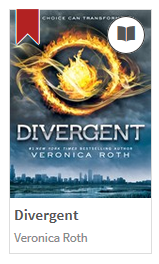 From here, you can borrow available titles, place holds on unavailable titles, or remove titles from your wish list. Select Available now to only see titles that are currently available to borrow. Note: Titles added to your wish list will remain there until you manually remove them. The easiest way to remove titles from your wish list is through your Wish List page, located under Account > Lists. From there, mouse over (or tap) the title you no longer want on your wish list and deselect the red ribbon (so it turns gray).